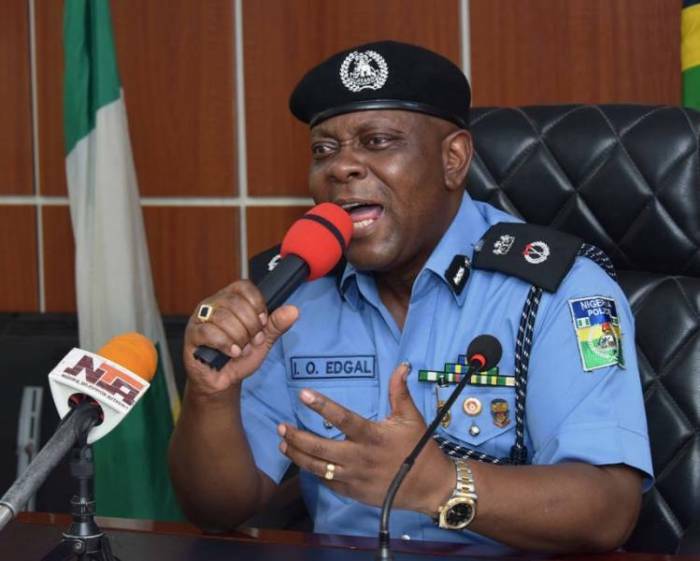 The Commissioner of Police in Lagos State, Mr Imohimi Edgal, on Wednesday said eight officers were dismissed over “very serious criminal offences”, while six others were demoted in ranks. According to him, community policing in the state is working as it had reduced crimes by 35 per cent. Commending the forum organised by the civil society groups, he said that it would also assist the police to perform better. Edgal, while appointing a senior police officer, SP Abubakar Aliyah from the X-Squad, as member of the forum, promised to monitor the activities of the forum. Also, Mr Okechukwu Nwanguma, the National Coordinator, Network For Police Reform In Nigeria (NOPRIN) and Chairman of the forum, spoke on “Toward Sustained Community Partnership with the Lagos State Police”. Nwanguma said that the forum was formed with a view to have regular engagement and interaction with the Lagos State Police Command on issues of police accountability. “The platform is to stand as a liaison between the police and the communities. “This is with a view to deepening partnership between the police and the communities they serve and to improve public safety and security. “We want to gain deeper understanding of the workings of the various complaints and disciplinary mechanisms within the Lagos State Police Command and the feedback system. “We want to have a formalised and structured engagement with them, contribute to strengthening them and promoting police accountability,” he said. Nwanguma commended Edgal for his human rights record, noting that he was one of the best commissioners in the country with good human rights police command. The Head of Monitoring, National Human Rights Commission, South-West, Mrs Nneka Anigbo, said that the launch of the forum was a welcome development. Anigbo said the commission would support the forum to succeed, and commended the CP for a job well done in the state. The President of Crime Reporters Association of Nigeria (CRAN), Mr Odita Sunday, praised the initiative behind the forum, urging Edgal to maintain the high level of crime fighting. The News Agency of Nigeria (NAN) reports that highlight of the launch included the presentation of some advocacy materials by Nwanguma and Mrs Bose Iro Ndu of Women’s Rights and Health Project.